Isn't "apple tax" the duty they charge on cider? OK, there is much in the news on Apple and the tax they are due to pay in Ireland, or not. They are appealing. The letter from Apple was interesting. So not really debating that issue itself much, but more of a general issue I see on companies finding legal means (or are they made illegal retrospectively?) to reduce the tax they pay. As a business, one of the things that bugs me a lot is when people talk of companies paying no tax when in fact they are referring to paying no (or little) corporation tax (in a specific country in which they trade). The reason that annoys me is that I know, as a business owner, that we pay lots of tax in lots of ways, and corporation tax is just one of those, not even the biggest. My company does a lot of R&D and as a result we manage to reduce our corporation tax quite a bit. Whilst we had spotted this, it really only happened when Alex managed to engage some consultants that are good at this (MPA group). I hope we don't get the same grief from people saying we are not paying our fair share of tax as a result. At the end of the day companies do pay a lot of other taxes apart from corporation tax, and one of those is VAT. This is where a heated debate arose with my friends on who pays the VAT! My view on this is pretty clear, and a result mainly of my failed economics module that I did at uni. There are a lot of taxes that relate to what a business does. You cannot argue that Apple, in what they do, have not caused a lot of VAT to be paid. The VAT actually gets paid mostly where the companies trade and sell their goods. The fact companies can effectively divert their corporation tax to other countries, that may charge less, is one of the big gripes people have - tax not paid where the company is making its money, but VAT is where the company makes its money. Now, the issue I had with my argument is that "VAT is paid by the customer and not the company", as it is added to the price and the company is simply collecting it and handing it over. I do not entirely agree! The issue I have is down to who "pays" a tax. This is not as easy as it sounds! One simple way to work out who pays a tax is to work out who is better off if the tax did not exist. That shows who exactly has been burdened by the tax, and so who really "pays" that tax in the end. Now, with VAT, you could say that if VAT did not exist, your iPhones would sell at the ex-VAT price. Apple would be no better off, but the end customers would be. So the end customers are the ones that pay the VAT. But equally you could say that the market can bear a price for an iPhone, and if no VAT existed then Apple could charge the same final price. The end users would be no better off, but Apple would be. So clearly the tax is a burden on Apple - they pay the VAT. The problem is that this is hypothetical, unless VAT was abolished and we waited a while, we would never know the final outcome. In practice, it is reasonable to expect that a market price would be found that was somewhere in between, so the VAT ultimately has been paid by final customer and by Apple in some part. The exact ratio is not something we can really know. What you can say for sure is that Apple are responsible for all of that VAT getting paid. It is, after all, a "Value Added" tax, a tax on the "value add" that Apple have created, and is money going to a government because of Apple and what they do. The other point is that VAT is seen as special because of the way it is accounted, as a separate thing "collected" from the end user and handed to the government. This makes people dismiss it as a tax not paid by the company by by the consumer - not as clear cut as I explain above. But my argument here is that VAT is not special. All of the above points, where one could expect the price to drop by the tax no longer in play, or one could expect the price to be the same and Apple pocket the amount they would have paid in tax. All of that applies to any tax, whether corporation tax, council tax, stamp duty, fuel tax, employers national insurance, or so on. However it is accounted for - at an economics level - a tax is diverting money from the profit that could be made and sending it to a government. Without that competition may mean a lower price, or same price and more profit for the company, or more likely somewhere in-between. So both pay in some part for that tax, whatever that tax is. Apple have created a lot of tax at various levels in different countries, not just the corporation tax they may have paid in one country, but all of the employment and property taxes in the country they employ people and the VAT in the countries they sell things. This should not be dismissed. Tax burdens us all, consumers and businesses. Businesses actually have a legal obligation to act in the best interests of their members, and so try and pay as little as they (legally) can. End users usually have the same incentive. It will be interesting to see how the Apple case pans out in the long run though. We have new net neutrality laws that impact the way ISPs provide service. These are EU regulations. First off a quick point about net neutrality. The basic idea is that an Internet provider (ISP) should treat different types of traffic and destinations without discrimination. This may seem obvious. It is to us as at A&A, but it is to help ensure we do not go down a slippery slope where you need to be with a particular ISP to get access to certain services or TV channels or web sites, etc. The ISP should provide access to everything in the same way. It may seem far fetched but this has already happened in the US where certain streaming services were heavily restricted via certain ISPs. So in principle net neutrality is a good thing for consumers. The devil is in the details. Now, one of the things I thought this would help is the deployment of IPv6. So, again a bit of a summary. Internet Protocol (IP) is how computers communicate on the Internet. The current version, which is version 6, (IPv6) has been around for a couple of decades now, and has started to be used more and more. It is used by big players like FaceBook and Google. But some ISPs are slow to provide access to the current version, IPv6, only offering the older version IPv4. The old version will be with us for a long time still, so you need both. Fortunately it is pretty much all "behind the scenes" for most people, but you do need an ISP that handles IPv6 to make proper use of IPv6. One of the things that is outlawed by these new regulations is offering an Internet Access Service which does not provide access to the whole Internet. This is good in principle. There is an exception for legally mandated blocks, but not optional ones that the ISP simply chooses to impose. So, if an ISP decided not to allow access to a specific chunk of the Internet, say China, or a specific type of protocol, say Voice over IP (VoIP), then they would be in breach of these new regulations. My immediate thoughts when I heard of net neutrality some years ago was that it finally means all ISPs have to offer IPv6. It is not fundamentally difficult to do - and for some it is a long process, but IPv6 has been around a long time now. AAISP have offered it to customers since 2002. We hear BT will roll it out by end of this year. After all, choosing to exclude a whole chunk of the Internet (all of the IPv6 addresses) would not be treating everyone equally. Indeed, informal discussions with my lawyer friends would seem to suggest that if an ISP chose not to allow access to a block of the IPv4 address space (e.g. China), then they would be in breach. He even thinks that if an ISP offers IPv6 as well, but chose not to route to a part of that IP address space, they would be in breach too. However, the guidance notes, not specifically the regulations, says, rather bizarrely, that an ISP offering IPv4 only and not IPv6 would not be considered in breach of the regulations. To me that is batshit insane. In the example above, an ISP offering IPv6 but blocking all the IPv6 in China, would be in breach. So they could become compliant by blocking more, by blocking all the IPv6 everywhere else as well. That shows how nonsensical the guidance is. Why on earth have EU regulators pulled their punches here and not simply said that failing to route the CURRENT Internet Protocol version is simply failing to provide an Internet Access Service? At the end of the day, it is OFCOM that enforces this, and they should consider the guidelines. Maybe OFCOM will have to guts to say no, IPv6 is needed to be an Internet Access Service. Exactly a year ago I posted that my garage conversion was finally starting. 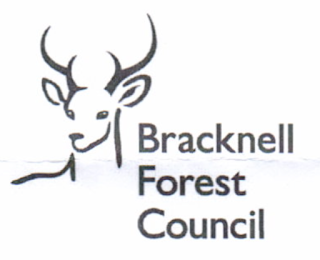 Today I finally received the completion notice from the council. The huge delay was caused by the fact that the project as a whole, for which I contracted BW Reed & Son Ltd, did not, as a whole, meet building regulations. There were several issue which meant that the builder had to do a lot of work to prove the unconventional way he did the insulation did meet some of the regulations, and that took time. But the final issue was ventilation - fresh air. To fix meant either a big fan, or windows that opened. The fact I have an outside door, which I can always open to get fresh air, and in internal door leading to a utility room with windows that open, and hence I could leave open to get fresh air, apparently do not count! The solution I went for in the end was windows that can open. I am unlikely to actually open them, as I have air-con, and it would, most of the year, defeat the point. But they can be opened, and that means we do now have the final building inspection sign off. Next step would be to work out who to blame? The builders, BW Reed & Son Ltd, were engaged to do the garage conversion, and in that to meet building regulations. They arranged (and I paid for separately) a number of contractors to do things like electrical work, windows, flooring, decorating, etc. The electrician put in power sockets, network sockets, and so on. The builder thinks it is his fault as he should have quoted for and insisted on a suitable fan. The glazier is aware of some building regulations (such as secondary exit from bedrooms), and the council say that a glazier should be aware of regulations as they have to comply when simply changing windows. The glazier was not aware of the fresh air requirement. I've asked the glazier if he thinks he should have know building regulations. I may ask some other glaziers. 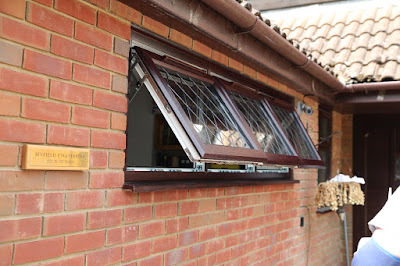 Changing the window cost £585, actually the same as the original window installation. So this is a straight extra cost for the mistake that somebody made. I may even try asking the CAB. Now the French and Germans are at it - wanting to ban true end to end encryption. See article. It is not complicated - such things can never work as intended and can only harm normal people. Please spend 4 minutes listening to me try, once again, to explain it - and tell people. 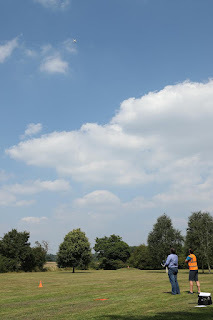 He too has a new Phantom 4, and was practicing flying in the fields that back on to his house a few weeks ago before he went on holiday. He was not videoing, and whilst it has a camera he was only using to control and monitor the aircraft, so the CAP722 3.7 exception means it is not a surveillance aircraft at that point. Well, we think so anyway. He was being careful, not flying over people or houses. Indeed, much of the field is not even within 150m of a congested area so surveillance aircraft would be allowed anyway. He just got back from holiday to find a card from the police asking to talk to him. He was worried it was about the drone, and indeed, after about 4 hours of chasing them, the right person finally managed to talk to him and explain that it was. 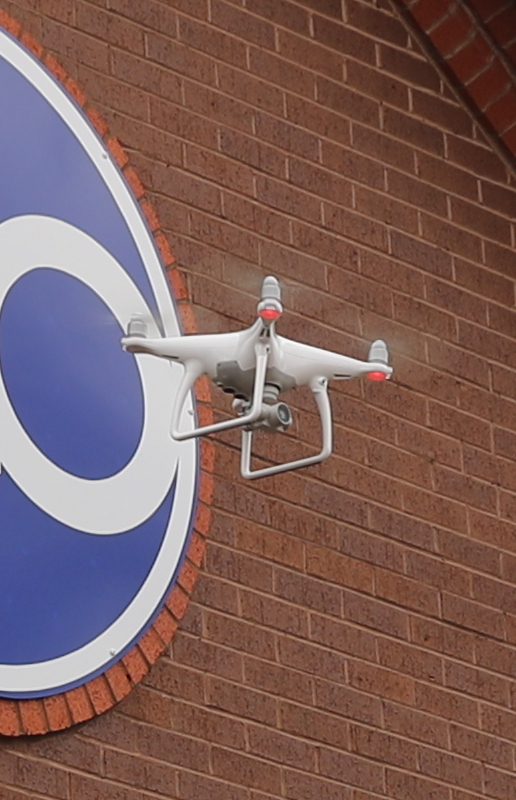 Someone had complained to the police that a drone nearly flew in to their conservatory. It was not even my friend's drone, but someone else's in the road. They found the kid with the drone and he said my friend had one too, so they went to speak to him as well (and he was on holiday). They told him (and the kid) to just be considerate. They explained that they get a lot of complaints about drones and there is nothing they can do about it. They even confirmed that if the kid had flown in to the conservatory and broken it, that would be a simple civil matter (no intention of causing damage) and would not even involve the police. 1. Why did they not simply tell the complainer that "there is nothing they can do about it" rather than wasting time tracking down two other people and talking to them? I am sure they would have managed to say that had it been a ballon or a paper plane. 2. Why did they not actually know that some of the drone flying is illegal, e.g. surveillance over or within 150m of a congested area without CAA approval? They told my friend he was fine to fly his drone if he is considerate. It is even in an ATZ, though for sub 7kg drones that is not a factor. 3. Why are people so hyped up over drones - why not talk to each other if something is causing annoyance in some way instead of wasting police time? Anyway, good news that they were not being arses about it - that is perhaps the important message here. My friend has now been briefed on all of the relevant rules to make sure he is flying legally anyway. Rumour is that next year the rules should be simplified, and for low altitudes be much more relaxed - I do hope so. And another post on WiFi... The ongoing battle to stop our iPhones losing connection when roaming between Unifi APs. The latest change seems to have worked. I really hope I am not coming back next week and updating this post to say otherwise. But really, it has been several days now, and no problem. The change was to put the APs (Unifi AC Pro and AC Pro LR) on firmware 3.7.5.4969. The other change in the latest firmware and controller that I have noticed is 14 more 5GHz channels, so 18 rather than just the 4 we had before. This will help avoid interference from other APs. So, fingers crossed. This may be the answer. P.P.S. Working quite well but has now failed a few times, so IS NOT A FINAL SOLUTION YET! So, I was mis-sold Sky Q system on the basis that you could actually watch recorded content on more than 2 Sky Q mini boxes at once. I have the call recording. Now I find I was further mis-sold. Sky clearly say that Sky Q does UHD (4K). The web site says "Watch the widest range of entertainment in Ultra HD, only with Sky Q. With up to four times the definition of HD, enjoy more than 70 movies on demand, 124 live Premier League matches and a wide selection of natural history documentaries and original Sky dramas." The Sky Q mini is described as "Small but powerful. Simply plug in the Sky Q Mini box to watch shows and recordings from your main Sky Q box in another room in your home." But it turns out only the main box does UHD and not on the Sky Q mini boxes. I cannot see this restriction on the Sky web site even in the technical details. I am starting to get rather pissed off now. My last post on this went in to some detail, and this is a summary of my tests so far. The issue, to recap, is that when you have multiple WiFi Access Points on the same SSID (WiFi name), the iPhone will move between these mostly seamlessly like any other device, but not quite. It seems that some times when changing AP, and this is surprisingly frequent, the iPhone will not regain its IPv4 address when it does so, leaving you with no IPv4 connectivity, a 169.254. address on the WiFi settings screen, and most things broken. Logs show it is not even trying DHCP. It even stays broken when you have "Wifi assist" that should use mobile if the WiFi is not working, even though it knows that for IPv4 the WiFi is not working! The test case I have for this was Unifi APs, and FireBrick DHCP, using WPA Personal (i.e. simple password) security, and also having IPv6 on the network. The IPv6 is fine. First thing I tried was only setting on 5GHz, and not 2GHz. The iPhones we have all do 5GHz. It helped as problem was not so frequent, I think, but did not fix it. Then we tried different SSIDs for each AP. This is tedious. It also meant it hung on to the wrong AP for too long with poor signal before switching. When it switched it worked and got an IP address via DHCP. One simple trick with multiple SSIDs was to set a min-RSSI in the config for the Unifi. This meant it switched more readily between the SSIDs as I moved around. I have tried this for over a week. It works. But again, is rather tedious with each AP on a different SSID. Not how it should be. This is the only solution we have yet found reliable. I set the phone to use a fixed IP, netmask, gateway, and DNS when on the SSID I was using, and set all APs to the same SSID. This seemed to work, but has failed in a similar way, nonIP connectivity. Oddly even IPv6 did not work. This rather confirms it is an issue on the iPhone with DHCP on WiFi. The DHCP server in this case has no clue that the SSIDs. All indications are that it is the iPhone that has a bug. Not tried. Well, I did, but it needs RADIUS and EAP. I tried an EAP accept, and even an EAP MD5 challenge and no joy. If anyone has a pcap of RADIUS/EAP for WPA Enterprise with an iPhone when it works, send me it and I'll code a server and test. Rumour is iPhones do work differently in Enterprise mode. This may be another solution, but the need for a RADIUS server would thwart most people. All we really need is for Apple to fix this - it is tedious having to find a work around like this. Update: Could it be the Unifi kit and not Apple? Well, yes, it could be, but googling other people with issues suggested Apple. I am trying newer Unifi firmware now. Update: Two days of testing roaming on Unifi firmware 3.7.5.4969 and no problems yet - I'll keep testing. We're having another rather interesting discussion with BT. This time BT plc t/a Openreach. This is technical, so google the acronyms, sorry. But even if you are not technical you should appreciate the stupidity going on here. BT have a process for testing modems that work on VDSL / FTTC lines. They even have contract conditions about deploying modems and expect them to pass this test. This does not seem to stop people choosing their own equipment that does not pass the test, so not an issue. Obviously we want to sell equipment that passes the test if we can. It is getting a bit tedious trying to sort this. But one router we sell, the Zyxel VMG 1312-B10A, was submitted for testing and passed. It is not perfect and we are looking at others, but it is probably the best of the bunch for a consumer route right now, so let's not argue on that for now. We were really pleased it passed the test, as one of the annoyances with that router is that in bridge mode it does not handle 1508 byte packets which are needed for PPPoE with 1500 byte IP packets. This is complicated, but basically the slightly larger than normal packets allow full size 1500 byte packets to be used on the internet and remove a number of problems with smaller MTUs. The BT modems supplied with VDSL/FTTC (when they supplied modems) did handle these. Just to do the sums, the Ethernet over VDSL always has one VLAN tag, and could have another or even another. So if you take 12 bytes MAC, 2 bytes type, 4 bytes VLAN, 4 bytes second VLAN, 1508 bytes payload you get 1530 total bytes of Ethernet frame for a 1500 byte IP frame wrapped in 8 bytes of PPPoE header. We are thinking they want to support an extra VLAN tag as they have a VLAN tag as mandatory on the VDSL, so that makes it 1534 bytes total. "The modem shall support an Ethernet frame size of between 68 and 1534 bytes. For clarity, this figure includes 4 bytes for the C-VLAN, and excludes bits allocated to pre-amble, Inter-Frame Gap, and Frame Check Sequence at the user network interface (UNI). Support for frame sizes above 1534 bytes (inclusive of C-VLAN) is not guaranteed." The 68 is the min 64 byte Ethernet with their mandatory 4 byte VLAN tag, and the maximum is the PPPoE maximum baby jumbo frame we worked out above. This spec was designed to allow PPPoE with full 1500 byte IP frames, obviously. So far so good. I think that is pretty clear. I think, to pass that, I have to be able to send any Ethernet packet size 68 to 1534 bytes and the modem must support it. The Zyxel does not!!! It only handles 1500 byte payload. So cannot handle 1500 byte IP in PPPoE, and requires lower MTU and fragmentation, which has problems. We know the Zyxel hardware can handle this as a script you can manually run via the CLI after boot makes it work, so this is a silly issue for Zyxel. One small edit to startup scripts and they could comply. We asked BT why they passed! Oddly it seems they test with all packet sizes 68 to 1534, and if any packet size works in that range they pass. They have confirmed categorically that if a modem only supported packets of 68 bytes it would pass that part of the test. So I asked what of a modem that supported more than 1534, and they confirmed that it would, but they only test up to 1534. Now, I hope that, even if you cannot understand all of the technical aspects here, you can see the logical flaw here. The number 1534 plays no part in whether a typical VDSL modem passes the test or not! A model supporting only packet sizes up to 1526 passes, as does a modem that supports packet sizes up to 9000. What is extra odd is the change notes confirm they actually reduced this spec from 1536 to 1534 at one point. They changed a number that has no bearing on the test result. I can only assume that BT Martlesham have lost the plot and do not know how to do a simple test like this, or understand a simple requirement, or understand Ethernet or IP or PPPoE at all. I thought they were quite technical! Indeed, the test spec (elsewhere in the SIN) talks of checking the maximum supported frame size, and so does not actually test the requirements. What I did find in the change notes is: "Requirement R.ETH.1 – Text reworded to clarify that multiple MTU sizes can be supported, one of which must be 1534 bytes". Well, "one of which must be 1534 bytes" is pretty clear. In summary, I cannot take the testing seriously any more. We'll be reviewing modems based on our own tests and not on BTs test spec from now on. This also goes a little to some of OFCOMs work recently, on things like compensation for faults. This spec means that the service we buy from BT, when we got a BT modem (that had the same spec) as part of the service, it does not fit with selling an Internet Access Service. If they supplied modems that happened not to work on Ethernet packet sizes of 142 bytes long, but worked for the rest, it would pass their test and meet the definition of the service. But that is not a valid thing to do when selling an Internet Access Service. If you cannot actually have components from a near monopoly supplier like BT plc that allow you to actually sell an Internet Access Service, how can you possibly have any automatic compensation? 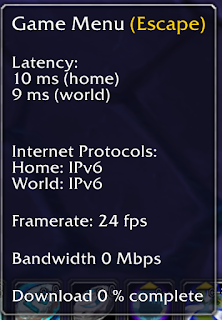 Having chased this as an ISP, we finally got someone in Blizzard who fixed their IPv6 issues. It sounds like the front line people had no clue, closing faults as "resolved" even admitting it was not actually resolved. Even though supposedly passing the issue on and the fact this is subject of several forum posts in US and EU, nothing happened. Finally got someone in their ops, and he not only sorted the issue but set up the peering for us too. He did so in 3 hours of my email. It feels like we could have sorted weeks ago if the right people had realised. 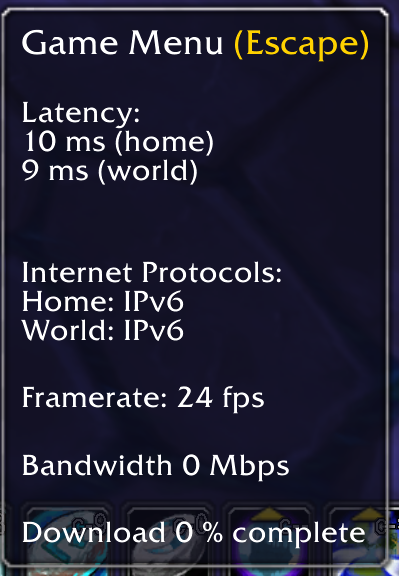 But good, once again IPv6 is working on Blizzard, and we have direct peering on IPv4 and IPv6 to Blizzard for A&A now. All the better for low latency on our services which have good low latency in the first place. 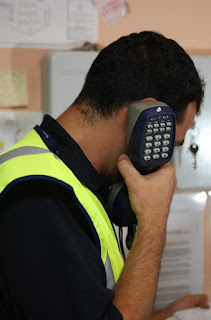 As reported by ispreview, Talk Talk made a complaint about the amount BT plc t/a Openreach charged for Special Faults Investigation (SFI) and Time Related Charges (TRC). They argued that the charges were not cost based and much of their complaints are upheld by OFCOM. There is now much ranting over back-dating and refunding, and so on. As you know SFI charges are a major problems for most ISPs. The costs, of there order of £160+VAT per visit, are massively more than the monthly, or even annual, profit from selling a broadband line in most cases. Either ISPs get stung or end users get stung, even when the work done was fixing a broadband fault, something that we should not pay extra for! To explain the problem you have to understand the layers of services provided. I'll explain for ADSL as this is where it is most relevant. 1. BT plc t/a Openreach sell wires in the ground, a metallic path service. They are not selling broadband. 2. 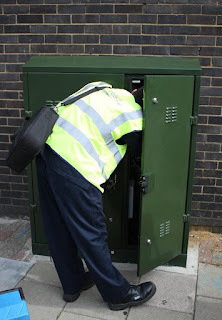 BT plc t/a BT Wholesale buy the metallic path from BT plc t/a Openreach that connects a home or office to the exchange; their own equipment in the exchange (DSLAM); their own back-haul across the country; their own BRAS equipment; and routers and links to ISPs. They sell broadband. Talk Talk Business do the same as BT plc t/a BT Wholesale in this respect. 3. Companies like A&A buy broadband from BT plc t/a BT Wholesaled Talk Talk Business; have our own routers; DNS servers; and make use of transit and peering and equipment in data centres. We sell an Internet Access Service. The complaint Talk Talk made is against BT plc t/a Openreach, and is only about the price. It is sensible for BT plc t/a Openreach to sell a service (SFI) that finds and fixes broadband faults as only their engineers can work on the network. It is sensible for BT plc t/a Openreach to charge for that, because it is over and above the metallic path they sell. The issue we have, repeatedly, with BT plc t/a BT Wholesale and Talk Talk Business is that we have no interest in buying an SFI service. We already buy, and pay for, working, broadband and any work to fix that broadband is the responsibility of BT plc t/a BT Wholesale or Talk Talk Business. The fact that BT plc t/a BT Wholesale or Talk Talk Business have to pay BT plc t/a Openreach to find and fix broadband faults is not our problem, any more than the fact they may have to pay CISCO engineers to fix a BGP router in their network. So our gripe has never been with BT plc t/a Openreach. This ruling may make some SFI visits cheaper but as we should never pay for an SFI visit ever, and it is not a service we want to buy, all this ruling will do is make the amount we dispute every month slightly smaller. It won't solve anything useful for us. Sorry. Even so, well done to Talk Talk on this - it will reduce their costs which is good news. More of a bit of Vlogging this one. I am working on my skills in this area, just for fun, and my office at home is a bit echoey. 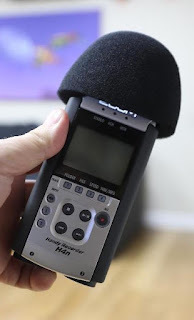 So I used a proper audio recorder this time instead of the one on the camera. Final Cut Pro works well to allow me to select the camera 4k video, and the audio file and synchronise. I can then choose any mix of the two sets of audio tracks on the composite clip. In practice, just picking the audio from the recorder. I also managed to take most of this using a 100mm macro lens, on fixed focus. Very hard to do this all by yourself, as you can see from some of the positioning. This was after a couple of takes (which is not like me). I had to set f/32 to get focus to be OK, as auto-focus could not track may hands well enough, hence slightly grainy, but I think it looks good. I suspect my next challenge will be lighting. It would have helped with the graininess. See what you think - it is just an educational video on Making cat5e network cables, that is all. For a long time now my son James, and I, have been cursing Apple. We have iPhones, and iPads and all sorts, but we keep finding the WiFi not working in the house. To explain the symptoms, in the morning I normally get up and have a bath and use my phone in the bath to check Facebook and twitter and so on, and every damn day I find my phone stops working in some way on the WiFi. Basically Facebook shows blank panes and not loading or things don't show new stuff. I have to go to WiFi settings and I see a 169 IP address (no response to DHCP standard address) as per the image on the right. The fix is WiFi off/on or airplane mode on/off. Sometimes I have to do this two or three times. It pisses me off. All of these are pretty solid systems, and should not screw up like this. I did loads on the FireBrick DHCP (seeing as I wrote it) trying everything I could think off - tweaking the TTL on responses, changing lease times, all sorts. Nothing helped. I have pinned down that the problem happens on change of AP, when I get in the bath I am between APs and it moves from one to the other, and that is when it loses DHCP. To add to the fun, it has IPv6 working OK but not IPv4, so extra special. Firstly, this shows a clear bug in the Apple code - there is "WiFi Assist" to handle poor wifi (and use mobile), but that does not kick in when you have working IPv6 and no reply on IPv4 DHCP. It knows we have no IPv4 on WiFi (hence 169 address). Maybe it should, at least, use mobile for IPv4 traffic! But my packet dumps suggest no attempt to get DHCP on these cases. We see IPv6 working, but IPv4 packets to the phone, and ARPs to the phone do not work, and there are no DHCP requests. James spotted the broken "WiFi Assist" and we tried turning that off, but sadly no joy. It is not 100% reproducible, so hard to be sure we have found a fix, sadly. But this did not work. So what next? Is it an Apple bug, or a Unifi bug, or even a FireBrick bug? So we tried some more. In some degree of desperation we set all three APs to different SSIDs. This is to see if that works, but the problem is the phone sticks to the wrong SSID even with really low signal as we move around the house. Yes, when/if it changes AP it gets a new IP, but it sits on the crappy signal for ages. It does not switch until it totally loses signal. Bugger. So what next. 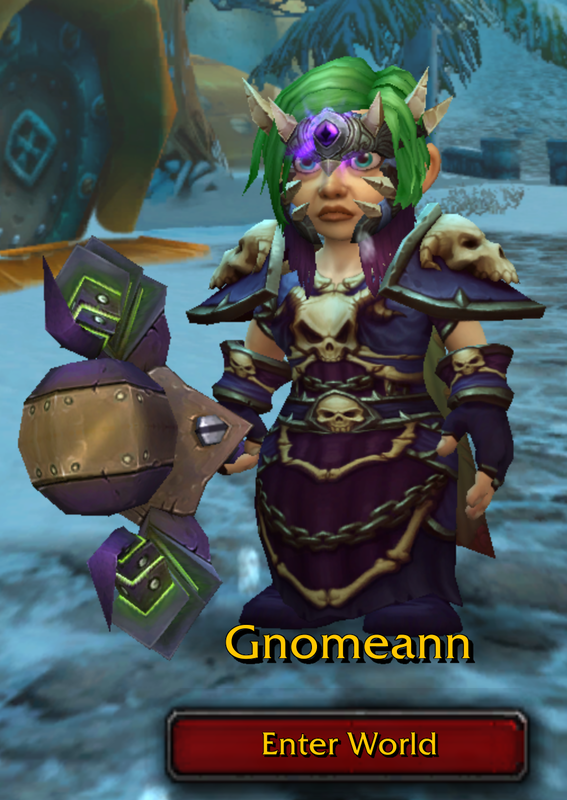 Well, I have made the cardinal sin of changing two things at once, and this seems to be working. If I can, I'll update and confirm the diagnosis with one change later. I have tried many times to break it now, and when moving from one AP to another the phone quickly re-associates with the nearer AP and does not lose its IP addressing at all. It seems to be working! The real test will be the bath, tomorrow. So, jury still out on if an iPhone issue of a Unifi issue. But we have working WiFi at last. When we come to reporting this to one or other of them, we will not get far, I am sure. Update: In spite of all my testing, it just went wrong again, arrrrg! What is worse is that it just sits there with a 169 address not even trying. Update: I tried changing all the APs to actually be on the same channel, and setting a min rssi. That seemed to help in that nothing broke this morning. We'll see how it goes for a few days. Several of the comments suggest this is definitely an Apple issue but at this stage I am trying to work around it. Update: Using different SSIDs does fix this, and setting min RSSI means they do switch. Not ideal. I tried working our Enterprise WPA but not worked out the RADIUS responses I need yet (If anyone has a pcap that would be helpful). One other simple thing to try would be fixed IP rather than DHCP. You will have noticed are those rather annoying captive portals you get on hotspot / WiFi. They are frustrating in a lot of ways, and even "free" WiFi can often mean completing some details or even just pressing an "I agree to terms" button. As recently explained by arstechnica, running a WiFi does not usually mean any sort of filtering, logging, or terms and conditions are actually needed. Indeed, in some cases, having T&Cs could form a contract where one is not needed and that can result in some obligations that you don't want. It really bugs me that you can rarely use a free WiFi with a device that has no browser, like my camera, as no way to get passed the splash screen. Much as I hate these damn things, what is quite nice is the way Apple devices pop up the splash screen when you select a WiFi, and if you don't login/accept, then it does not use that WiFi. This is Apple being a bit clever and actually the way they do it can be used sensibly. The way a portal, or pay wall, or whatever you want to call them, usually works is by not providing a working Internet connection at all! They divert "web pages" to a splash screen for login/etc. How this divert works can vary, it could be block all traffic and override DNS, it could be redirect port 80. I have seen some redirect port 443 which creates a nasty security warning and really is not a good idea. Changing DNS can result in nasty caching effects. Once you complete the process the diverts are removed and normal Internet access is possible. What do Apple do on devices? The response is a simple http page with Success in the title and contents. If the device sees that then it assumes it has working Internet access, and uses the WiFi. If not, then it displays whatever page it gets instead. This works well with these typical arrangements that divert all web pages. These "test" requests come from CaptiveNetworkSupport-325.10.1 wiser user agent, but requests to display the page and subsequent pages to complete the login are from the normal Mozilla/5.0 (iPhone; CPU iPhone OS 9_3_3 like Mac OS X) AppleWebKit/601.1.46 (KHTML, like Gecko) Mobile/13G34 user agent. Sadly sending cookies does not seem to work, so there is no real way to tell the initial test from any further test, so the server has to have some state. Normally the server will have state, knowing the user is allowed access or not (yet), and when allowed the test will go to the real captive.apple.com and be served correctly. What if you want a simple splash page? What I wanted to do was make a simple splash page, no terms and conditions, just saying who is providing the free WiFi. The idea is to do this for an free WiFi in a cafe. I want the WiFi to work as well as possible, with IPv6, and to work on devices without browsers if possible. But for iPhone users at least, a popup splash page would be nice. So, first thing, divert DNS for captive.apple.com to my own server. The good news is that this can be a permanent fix in the DNS server used for this connection, it does not need to know the user is allowed or not, an we are not setting any general blocking of anything. It is a single DNS entry override with IP address. By the way, this used to be a page on http://apple.com/ which would have meant redirecting the whole apple.com domain in DNS, thankfully Apple have changed this to a specific subdomain now. The server then needs to serve something for hotspot-detect.html to provide the splash page. However, after each page the phone re-checks hotspot-detect.html to see if now allowed or not, so I have to set some state so that the second and subsequent requests (in a short time frame) serve the expected Success page. You don't see the MAC unless you have something local, or you can ask the remote device to use ARP or ND to find out. All you see is requesting IP address. I also have concerns that the IPv6 is a privacy address and likely to change. It may be possible to only serve an IPv4 address at DNS level to avoid that issue but that is messy. My solution was simply to mark that IP as allowed for a short period so that only the first request to hotspot-detect.html would redirect to the splash page. The result is the phone pops up with the splash page and is then immediately happy that it is now allowed and shows "Done" on the screen. This is exactly what I wanted. Other devices just make use of Internet with no splash page, and there are no restrictions, which is also what I wanted. Next step - see if Android phones do anything similar. It has been a long day, and part of that has been arguing with BT, with Shaun and Alex's help. We have a very understanding customer with a mostly working service and we are giving him a discount for indulging us on this point. But it has allowed us to push BT on the ongoing issue of SFI engineers yet again. I hope that we will eventually get a straight answer and I can update this post. Simple story - a phone line working OK for phone calls but dropping broadband frequently. Already engineers have established it is an issue with the drop wire and need to change it, and fit a new anchor to the building, and so on. I.e. 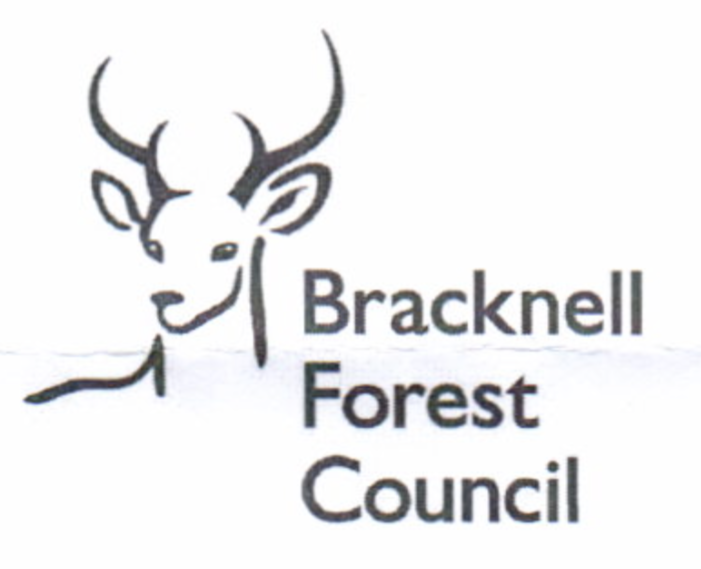 the fault has been properly investigated by BT and remedial work proposed. This is all good. However, the fault has stalled, and last week we escalated to High Level Escalations. On Monday we are told that BT plc t/a BT Wholesale cannot even talk to BT plc t/a Openreach unless we boot an SFI engineer! At this point it is worth explaining that BT plc t/a BT Wholesale define an "SFI Engineer" as an optional service we can request that will send a man to check the line meets the "metallic path specification" (SIN349). As far as we know the line meets SIN349, and we have no reason to order such an optional service in this case (or indeed, ever!). We have endured THREE DAYS now of BT trying their damnedest to sell us this optional service in order to progress the repair of a fault on a broadband service. Note that broadband is not measured against the "metallic path specification" anyway, we don't buy a "metallic path", we buy "broadband". So it is a pointless service, and one they know we will be charged for as the line meets SIN349 (they charge for SFI if the line meets the spec). The fact it has taken three days to make no progress is why we need an understanding customer. We could have booked the optional extra service of an SFI and the fault would have progressed, and then we would have to dispute the charges later. But we want this issue resolved so we don't have these issues and disputes in future. Obviously you have a process to get broadband faults fixed which does not involve us ordering an optional extra service. That stands to reason, as otherwise you would not be able to meet your contractual obligation to fix broadband faults. So please, just tell us the process we have to follow to do that, and we can get this fault fixed. At this point we have simply asked that you tell us the correct process by which we get BT plc t/a BT Wholesale to fix a broadband fault without us ordering an optional extra service. It is surely a really simple question you can just answer for us right away. Once we know, we can follow it and this fault can be resolved. Obviously you must have such a process else how would BT meet its contractual obligations to rectify broadband faults. So please, just tell us..
BT should be able to just answer that simple question. For some reason they just pass the buck and do not answer. Oh, and magically, 6pm today, they finally think they can progress this fault without us booking an SFI engineer. But clearly a process that involves three days of arguing and BT trying to sell an optional service to us, cannot be the proper official process, so we still await the answer. 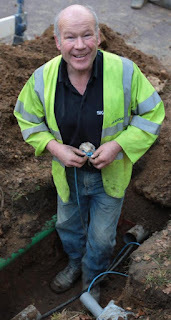 The BT plc t/a Openreach side is not that daft – they define SFI differently, and they sell that service as a means to help address broadband faults. They charge because (at least for ADSL) Openreach don’t sell broadband, they sell metallic paths. The issue here is actually BT plc t/a BT Wholesale, not BT plc t/a Openreach. BT plc t/a BT Wholesale redefine SFI as a service simply to check the line to SIN349, and not a service to fix broadband faults. After all, we would not want to buy a service to fix broadband faults as that is already part of the broadband service we already pay for. That redefinition means we would never want to buy that SFI service. However, logically, BT plc t/a BT Wholesale would want to buy the SFI service from BT plc t/a Openreach to help fix broadband faults (as they are the only people that can work on the line), and as fixing broadband faults is part of the broadband service, they should not charge us when they pay for that service. I hope that make some sense. Update: So far (5th Aug) the best I have is: "BT will take steps to repair a broadband line that is not operating within its contracted specification or fault threshold. The exact nature of the resolution will be determined as part of the diagnostic journey and will differ depending on which component or product is affected. The process for contacting BT Wholesale and raising a fault is contained within the customer service plan." which does not really answer the question. Once again there are calls to change the way "broadband" is advertised [ispreview], describing it as misleading. I have said this before, but once again I'll try and explain why the proposals make no sense. It was rather telling that 10% of people surveyed were happy with the current system. The current system involves lying about the technology, claiming it can only achieve a maximum speed that is a speed 10% of people could get, e.g. 76Mb/s. instead of 80Mb/s That means 10% of people will get more than that maximum and so have been lied to about it being the maximum. It means that if people feel misled by "up to 80Mb/s" now you have 90% of those people still feeling misled by "up to 76Mb/s". The problem is not solved, you simply have 10% fewer complaints about being "misled". I do wonder if a simple solution is changing "up to" to "not more than". Would people still feel misled? I bet they do somehow. Personally I think people are not clear on the way the technology works, and that is a hard one to solve. Let's consider two technologies here that are pretty simple, and for which people may have a choice. One is ADSL to the exchange, using ADSL2+ modem standards, and this allows up to 24Mb/s sync rate on the line. The other is VDSL to the street cabinet, and this allows quite high speeds but is sold by Openreach in a package with an 80Mb/s sync limit, so up to 80Mb/s sync rate on the line. If you have a choice of "ADSL or VDSL" they are technical terms and the average consumer has no clue. If you have a choice of "up to 24Mb/s" or "up to 80Mb/s" you can guess which is better and have some rough idea of the scale of "betterness" that may apply. Note that actually, it is possible, for long lines to get better speed on ADSL than VDSL in a few cases, but that should be clear when actually ordering. The key here is that the different technologies can be simply compared. Indeed, a 330Mb/s FTTP service is clearly "better" still, where as 8Mb/s ADSL1 is "worse", and so on. So for comparing the technologies, the "headline" speed in the "up to" claims is a perfectly sensible comparison for most consumers. The problem then comes when people actually buy a service and find it is not, for example, 80Mb/s. The guidelines are very clear on this and I believe most ISPs follow them. When someone orders, they are told an estimate of the speed they are likely to get where they are. If you order from A&A, and are told 25-30Mb/s you cannot really complain that you have been "misled" with "up to 80Mb/s" when you actually get a speed within that estimated range, e.g. 28Mb/s. There are issues as the lines may not get the sync speed within the ranges we quote, that can happen. These are estimates are based on BT data which we cannot control. Nobody seems to be complaining that these estimates are wildly wrong though, which is good. That probably means we have a system that works. So for a start I really do not understand why we are having these cries of people feeling misled in the first place. Who are these people buying a service with a specific speed range estimate and then getting upset that the speed is within that estimate but not the "headline" speed advertised? Anyway, there are a few other problems. For a start I think people really struggle with the idea of speeds of broadband. E.g. you don't use the full speed all the time - you use a certain amount if streaming a video, or playing a game, you may use the maximum when downloading something or maybe not. I think people see that, but I think they expect that if the service is "up to 80Mb/s" that they can push it that far if and when they need, at least some of the time. People seem not to realise that the limit will be constrained by their line and location and that is not something they can generally change in anyway, and neither can the ISP. People also don't seem to appreciate that there are a relatively small set of technologies available, and in many cases actually the same wires and modems and equipment and backhaul between different ISPs - so if one ISP sells Openeach FTTC GEA as "up to 76Mb/s" and another as "up to 74Mb/s" they will actually be buying the same thing from either, and it might be only 50Mb/s, so the comparison of arbitrary per-ISP 90th percentile is not actually helping people decide. Your computer will have limitations on what it can do. To be fair, most modern computers are very fast and can easily exceed the speed of you line, but that will not always be the case as we get faster and faster technologies. Your wiring and network in your home, and especially (if you are using it) your WiFi. These are limiting factors, and WiFi can be a big one. The fact that your home network is shared (contended) with other people in the house, or your neighbour using your WiFi - this all creates a risk that things slow down due to other people's actions, even before we look outside your house! The modem itself, probably provided by the ISP, should be able to handle the speeds. Depending on the equipment, that is not always the case though. The modem to modem link, the sync speed of the line. That is a limiting factor. That is what the ISP is selling in terms of "speed", and that alone. The link from cabinet to exchange for VDSL is shared (contended), so usage by other people own the same cabinet (regardless of ISP) can slow you down. The link in to the ISP themselves is shared (contended), and so other usage by the ISP's customers could slow you down. That is, in part in the ISPs control (see below). The ISP network is, of course, shared, as are their links to peers and transit, so other usage by the ISP customers could slow you down. That is, in part in the ISPs control (see below). The transit networks and peering points are shared (contended), so other internet users in the world could slow you down. The link to the web site or server you are accessing is shared (contended), so other users of that service could slow you down. The servers themselves will only be able to handle so much traffic, so other users of each server could slow you down. The servers could impose specific rate limiting on what they will send, and that is their choice. There are very few parts of this equation that the ISP actually controls. They control their links to the broadband network (and some have links they control right out to BRASs and even exchanges). They control their network and links to the transit and peering networks. They control their choice of backhaul and transit and peering networks, but there is often quite little choice. However, these links will always be shared. To make them un-contended so that they can never fill up would mean costs rising by factors of many hundreds. It would make the broadband service ridiculously expensive, and would not eliminate all of the other aspects where the network is shared. There simply is no point. In practice ISPs do vary, and have different policies, but these are not something addressed by the ASA in any way or published by ISPs. At A&A we aim to keep links to carriers un-congested, i.e. we have enough capacity, but this is no guarantee that usage won't suddenly exceed it on occasion. Some ISPs run their networks so they hit limits when busy every day. Ultimately what you are buying is a access (at a modem to modem access speed) to a shared global network, most of which is totally outside your ISPs control. P.S. A&A have announced that Home::1 BT back haul FTTC will be one price now, dropping the extra £5 charge for the 80/20 option (from next bill). This brings the pricing in line with the TT back haul FTTC products. Yes, this means the same price whether the sync is 8M or 80M.